If you picked up a LG G Pad 8.3 Google Play Edition this week (our unboxing and hands-on), be sure to jump into Settings>About tablet>System updates, you may have an update awaiting your approval. According to at least one of our readers, the 52MB update is rolling out now, bringing the tablet up to the most current version of Android available. The update itself doesn’t do much from Android 4.4, but does tweak UI elements here and there and also squash bugs that Google deemed important. 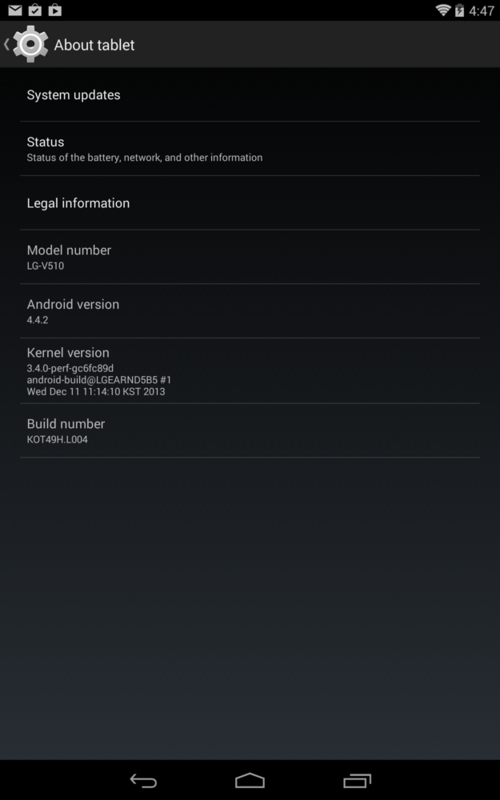 After all, 4.4.2 showed up within days of the release of 4.4.1. 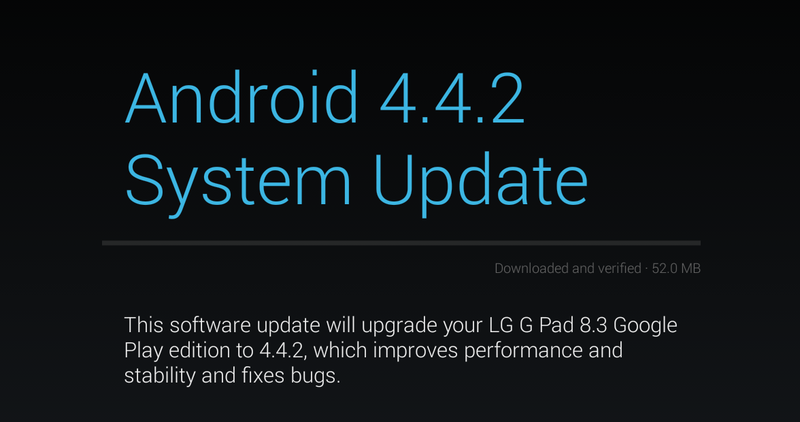 Moments ago, we saw HTC post the kernel source files for a Android 4.4.2 update for the One Google Play Edition, so it could be that all GPE units are receiving the update. Our Galaxy S4 GPE is not showing as having an update available, but as soon as we see one, we’ll be sure to update this post.